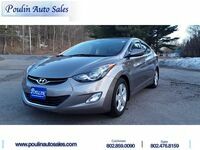 For those looking for a used car, we have several used Hyundai sedans right here in Colchester VT. We want to show you what these vehicles have for you as well as what we can do to help you find the vehicle of your dreams. 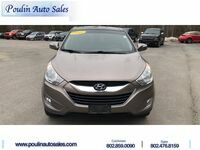 Here at Poulin Auto Sales, we have a wide selection of Hyundai sedans for you to choose from. These vehicles are built with drivers in mind. They have a sharp interior design and many fun and exciting features for you to enjoy. They are also spacious enough for your passengers to sit comfortably for your many rides on the road. We want to help you find the right car and we know how difficult it can be. Our team is very experienced and knowledge about our vehicles.  With these skills and expertise, we can show you the ins and outs of our used Hyundai sedans to find the one that best fits your budget and personality. You can browse our inventory to find the one that best fits your needs. 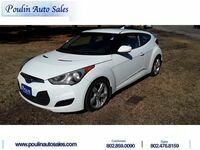 Why should I buy a used Hyundai Sedan at Poulin Auto Sales? Not only do we have a wide selection, but we also have many different models to choose from. The Sonata and the Elantra are represented in our lineup. These vehicles come with different trims and are from different model years. Our team will also work with you to find what you are looking for. 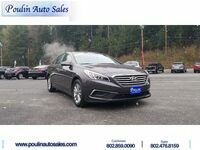 If you are interested in any of our Hyundai sedans, check out our online inventory and schedule a test drive with us at Poulin Auto Sales.